Rajwinder Kaur is a middle school teacher at Ramsey Middle School in Louisville, Kentucky. 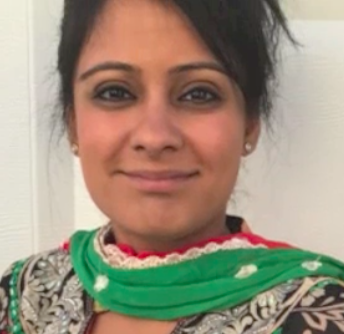 In “My Name,” Raja reflects on the process of creating a video story about the interconnections between her given name, her identity, her family, and her role as a teacher. Raja tells the story of creating this piece in Professor Cruz Medina’s “Multicultural Digital Storytelling” this summer at the Bread Loaf ‘s Santa Fe, New Mexico campus, and she takes stock of the value of her summer composition to her students this year. Raja also reflects on her Middlebury College background, and how her experience studying film informs her support of students’ rhetorical strategies in merging text and visual media.